Lego world. How do they reproduce? It is difficult to find statistics for the ratio of Lego men and women in the general population but from a non-scientific survey, I get the impression that Lego men vastly outnumber Lego women. Yet clearly they do reproduce. 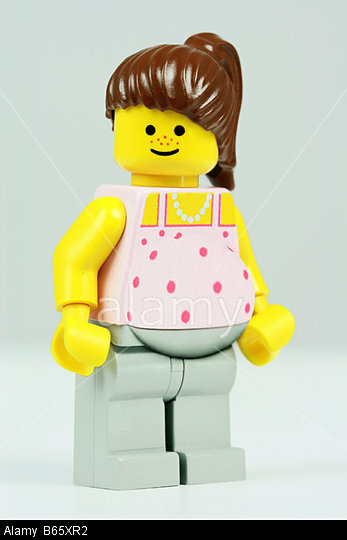 Here is a picture of a pregnant Lego woman. Setting aside the gender ratio, it is not obvious how Lego people actually reproduce. If we look at Legoid anatomy there is no evidence of suitable appendages. EDIT in response to the question being put on hold. For example, questions are welcome that are about: ... How to achieve a specified effect in a defined world, including by the use of technology or magic, while maintaining in-universe consistency. In order to create a realistic Lego-based world, I wish to develop a consistent in-universe description that explains how these beings reproduce. Therefore I am not looking for an explanation that relies on human intervention. If the Legoids themselves can perform the necessary biology or technology then that is fine. explains or suggests the mechanism of Lego reproduction. explains the high preponderance of Lego males? If they were like humans we would expect a roughly 50-50 ratio. For these purposes, I assume that Lego people cannot see or comprehend humans - who can be considered to live in a different dimension. They see only each other and their building materials. The results of human actions (but not direct experience of humans themselves) are presumably part of their mythology and put down to natural or supernatural causes. When lego people expire their three core parts (head, body and legs) become disassociated. They may remain in this state in the environment for quite some time until a suitable input of energy (lightning, earthquake, storm etc) into the environment animates a new person from a suitable nearby triad of parts. Accordingly the new person is 'animated' in adult form by a spontaneous fusing of head, body and legs. The resulting person will have an odd mix of skills and character traits inherited from the random re-mixing of old core parts. So, they exhibit Lamarckian rather than Darwinian evolution, and so don't need to be trained from scratch although some need considerable support in successfully integrating less than well matched body parts. Lonely lego people who can't find the right soulmate are often to be found scouring the land looking for disassociated body parts which they collect together and watch over in the hope that a suitable event will cause an animation. Sadly, the results are rarely what the parts-collecter had in mind, since the life history of the individual parts is often difficult to discern. The difference between the sexes is based purely on certain body parts having an affinity such that they are more likely all else equal to become associated. Transgender animations can and do occur though. When the stock of disassociated parts declines below a certain level, the same energetic events that cause animation are more likely to randomly dis-associate existing people than animate new ones. Population growth thus requires the introduction of new body parts - a subject which forms a core part of all lego people's mythology and many quest stories. For this reason very long lived lego people tend to be viewed with suspicion and resentment and may be the subject of violence (which also causes disassociation). Short lives are felt moral and honourable since it increases the stock of life skills embedded in the core parts. Lego people reproduce asexually through binary fission. They divide in half, and each slowly grows into a new lego person. Your "pregnant" Lego lady is actually just gorging herself in preparation for the split, to speed her re-growth. New, never before seen Lego people are caused by errors in the regrowth process, due to the high levels of toxic chemicals and plastics in legoland. They order new ones from the factory. Firstly, that pregnant lego woman is clearly photoshopped. Lego women don't get pregnant. If one were pregnant it's because she was made that way and she will die that way. Secondly, don't search for Lego genitalia on the internet. That's some solid internet advice; replace "Lego" with any word, you can't unsee what has been seen. It wouldn't have shown up in the picture you found in any case. Lego people are also rather progressive, that have embraced the designer babies trend. Except their babies arrive full grown. Can you imagine how wonderful/horrifying that would be? So much they missed out on, yet, so much they got to miss out on. Lego people are like vampires, whatever age they're made at, they stay that age. Forever. Making Lego children would be a curse on those children. They would be shorter, but still the same width (two bumps), so would live out a long and awkward life. As for the high number of males (no, they're not made in China), construction and engineering are massive industries for Lego people. As with humans, they are still very male dominated fields. As the Lego people have higher need for doctors, scientists, and athletes the number of female Lego people will increase. Lego people, despite their appearance, are genderless. You feed two of them a brick, love hearts will appear on top of their head, they will get close to each other… a small Lego kid will spawn nearby, and also an experience orb which you might (and should) collect. Yes, that's Minecraft, but it's as Lego as it can get. A variation of Rumguff's answer. A higher intelligence makes them. They have some myths regarding this, and some atheist lego people believe in pure spontaneous generation. Most lego people have little memory of their first moments of life, but under hypnotic regression many remember an impossibly gigantic lego person, with jointed arms and legs, assembling them. The idea that lego people are created by one or more giants is actually their most popular myth. Their own scientists simple have no idea about how they are born and offer no answer. The appearance of new people is simply a fact that everyone accepts as normal. There's a finite number of lego people and parts and all new LEGO people are simply made at a LEGO people assembling building from the disassembled parts of former LEGO people. These parts are usually kept in a giant yellow container curiously called "minifig bucket." All LEGO people require a triune of parts to be considered alive. The Trunk, the Torso, and the Pineapple ( also known as the yellow head cylinder ). It is only when these three parts are connected that you get a sentient LEGO person. LEGO people also do not die. Their pieces do age, their colors do fade... but they don't actually DIE in our sense of the word. You could compare LEGO to a three-celled organism that only have higher-level functions when all three cells are connected to one another. Occasionally an accident will happen like a LEGO person hanging onto a helicopter while their torso is clicked into a particularly stubborn pip. When their body is separated, they immediately lose all sentience. While it is possible to put the pieces back together again, once disconnected, the exposure of the innards of the LEGO minifig parts erases all memories and therefore what you could call consciousness so there's really no point. When pieces are randomly matched ( or LEGO people are birthed ) all variables are randomized and they gain a completely random personality. There is a finite number of LEGO people. It will never go higher. It will only gradually get lower over many millions of years as parts wear out and pieces no longer stay together. However, there's a MASSIVE glut of extra parts that have never been used, so that isn't a problem. There have been some LEGO people who adhere to the teaching of scientism that have proposed bonding pieces together as a means of gaining true immortality, but there is a rather vocal group of religious individuals who feel this is not part of the master builder's plan and that the natural order of disassembly and reassembly is the natural way of things. They fear that permanence is not the LEGO way and goes against their purpose of existence as flexible and modular beings as purposed by the Grand Designer. They feel that followers of scientism are trying to become The Builder themselves. Many of these scientists don't believe in The Builder and want to believe that LEGO parts came from millions of years of iteration. They refused to believe that their world or their pieces were the product of a designer and feel that their world was not designed, but came about by random accidents in what they call the Big Billund Theory. Although most LEGO people accept most of facts of "Big Billund Factory" the followers of Scientism believe that no being conceived or initiated the "Big Billund Factory" but rather that it came about by accident. Most LEGO people, OTOH, believe that there was a "First Cause" and attribute it to the "Grand Designer". To many LEGO people, they give this "First Cause" a name. They believe they this Designer is not made of the same materials as them... and use the "Holy Manual" as proof of the Designer's existence. A few call themselves followers of Ole Kirk Christiansen... who occasionally intervenes from a spiritual place called "Denmark". Followers of Scientism say this place doesn't exist and since they can't see Ole Kirk he doesn't exist. As you imagine, it's quite the problem and has caused wars. Many LEGO people point to the intricate designs as impossible to have come about by mere chance and think the LEGO followers of scientism are somewhat of a cult and as such dismiss them as crackpots. As you can imagine, most LEGO people believe in a Great Designer, though some believe in a pantheon of Great Builders as opposed to one Original Designer. Note that long ago, LEGO society didn't really exist as minifigs regularly removed the heads and torsos of others randomly, while sleeping... or just out of curiosity. In addition, they sometimes did it to themselves. They could not build a society in those days, and as such were more akin to minifigs wandering in a wilderness of spare pieces. In the end, LEGO don't reproduce. They simply replace and reuse. Now that this question has been resurrected and returning to my own question after several years, I can see an answer that didn't occur to me before. ... it is not obvious how Lego people actually reproduce. 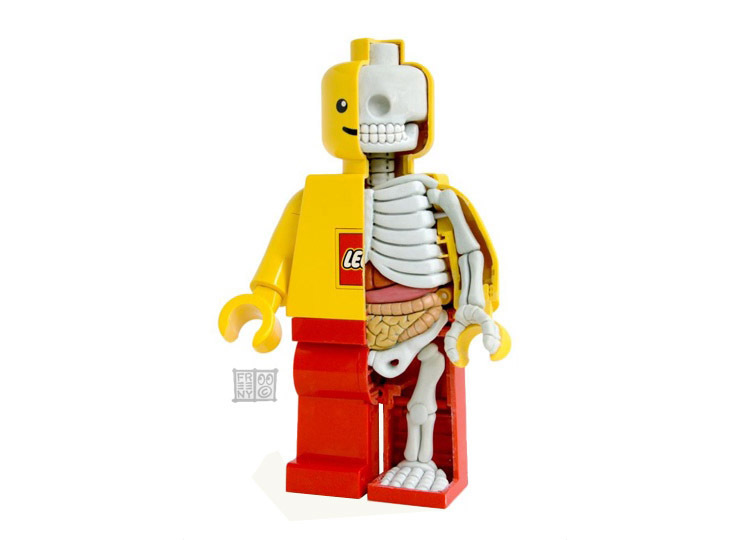 If we look at Legoid anatomy there is no evidence of suitable appendages. However I overlooked the fact that Lego people have a stud on the top of their head and sockets in their feet. This means that a suitable connection could be made after all. Not the answer you're looking for? Browse other questions tagged biology population reproduction or ask your own question. Russian Dolls - How do they reproduce? How could a human-descended race appear to be all-female? Should immortal women have periods? How could immortal children age faster than immortal adults? How poor does Elven fertility need to be in order to keep the ratio of humans to elves constant? Why are cambions unable to reproduce amongst each other? 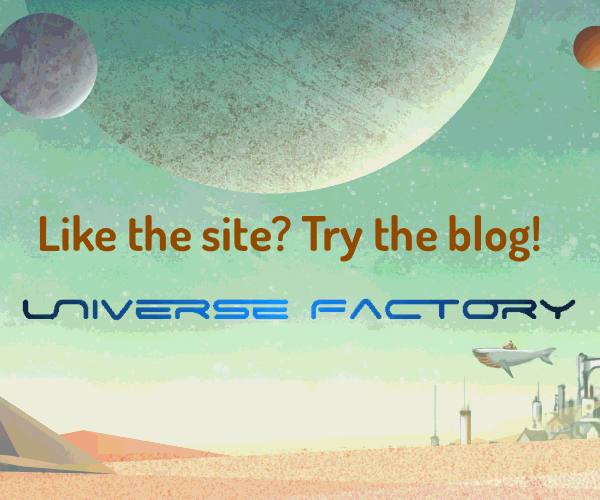 How can a planet full of zombies reproduce and maintain its population?